Tomorrow, before most North Americans are out of bed, The Open Championship begins at the home of golf – St. Andrews Golf Links in Scotland. It is the 150th anniversary of golf’s oldest – and best – tournament. In 1860 (before Canada was even a country), The Open Championship was first contested at Prestwick, on Scotland’s west coast. Willie Park Sr. walked away with the Challenge Belt. Last year, Stewart Cink became the open champion by vanquishing ageless Tom Watson in a playoff. Here are five reasons why The Open Championship is the greatest event in the game. 1. The Claret Jug – While I think we can all agree that the Stanley Cup is sport’s most magnificent trophy, the Claret Jug isn’t far behind. In 1873, the Golf Champion Trophy (as it’s officially known) was first handed to Tom Kidd, the open champion that year. It’s instantly recognizable – even in silhouette. Same as the Stanley Cup. But the true beauty of the Claret Jug is that it’s never, ever been tampered with. No goofy bottom has been added – Grey Cup, are you listening? And the champion’s name is stamped into the Claret Jug seconds after he’s won meaning, when he holds it aloft on the 18th green, his name is already on it. Very cool. 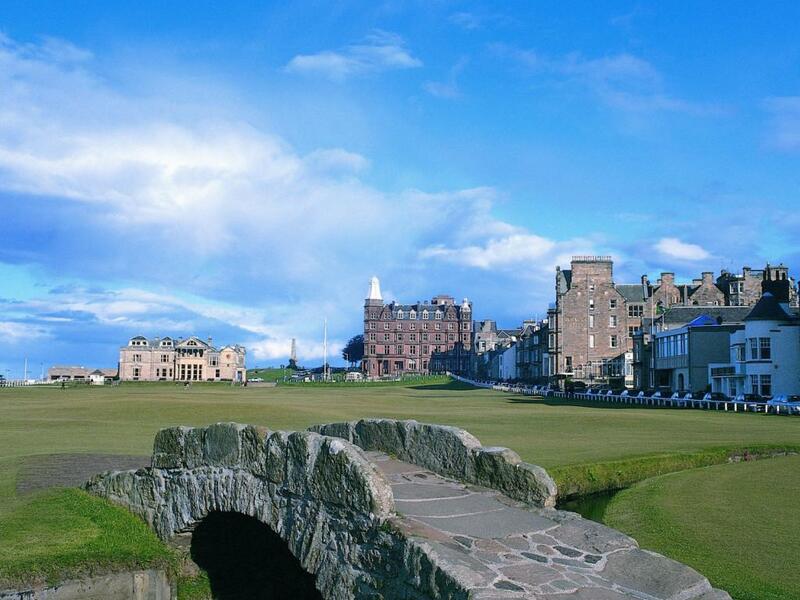 In 1754, the Society of St. Andrews Golfers began playing at St. Andrews Golf Links. 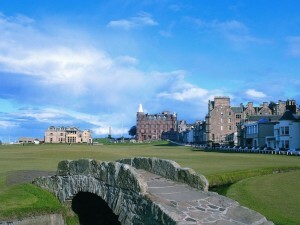 The 2010 Open Championship will mark the 28th time St. Andrews has hosted the event. 2. The open rota – Over the years, the event has been held on fourteen different courses. Some, like Musselburgh and Portrush, are no longer on the rota. But the courses that are in the current rotation – St. Andrews, Carnoustie, Turnberry, Muirfield and Lytham and St. Annes (to name a handful) – are all spectacular. And each is different and unique in its own way. At St. Andrews, you have the Road Hole (the 17th), Swilcan Burn, Granny Clark’s Wynd, Hell Bunker, the Valley of Sin. Even the way course features are named is awe-inspiring! 3. The weather – If it’s raining at The Masters or the U.S. Open or the PGA Championship, all the minions start running around and fretting and wailing and frowning. Not at The Open Championship. That’s because they understand that, in Scotland, the conditions are all part of the experience. They are all part of the challenge. And The Open Champion is, invariably, the player who deals with those conditions best. 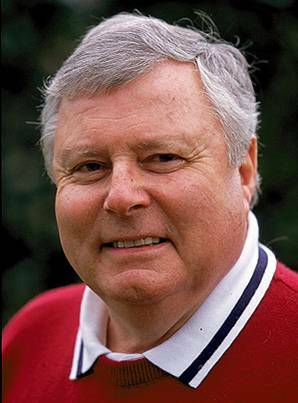 Peter Alliss quit school at the age of 14 to become a professional golfer. Today, he has the best pipes and command of the language in the business. 4. Peter Alliss – The best announcer in any sport. Period. He’s the Bob Cole of golf, except that Alliss played the game professionally at an extremely high level. 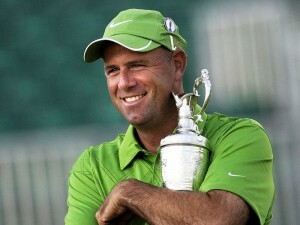 He never won, but finished eighth (or T8) in The Open Championship four separate times. He won around two dozen times worldwide, and represented Great Britain eight times in the Ryder Cup Matches. His father, Percy, did the same three times. This week, on ABC/ESPN, listen when Alliss visits the booth. His cadence and turn of phrase are glorious. 5. The name – Please, please, please do not ever refer to this event as the British Open. It is The Open Championship. It always has been. You show me someone who refers to it as the British, and I’ll show you someone who’s clueless about the game, its history and its scope. Good heavens, even the event’s own website is simply www.opengolf.com. And that’s the beauty of the entire event – its simplicity, its courses, its history. There is no championship like it. Anywhere.